PJ is a law graduate and the son of Richard Cole. He oversees the work and provides strategic direction. 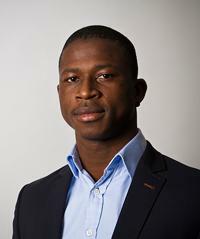 He divides his time between Sierra Leone and the United Kingdom (UK). Although having studied in London, PJ lived in Liberia until the age of four whilst his parents were developing community projects in Lofa County. When the war erupted in Liberia, PJ and the family fled to Sierra Leone where they were eventually reunited with Richard Cole. PJ worked from an early age alongside his father helping to rebuild the lives of the boys in the Nehemiah Home. At the age of 13 he was class teacher to over 60 children. He was also part of the team that set up and managed some of the very first social enterprises at Lifeline Nehemiah Project. PJ has been involved with award winning community and youth projects in the United Kingdom. He has also worked as a legal researcher and policy advisor to a national UK charity.